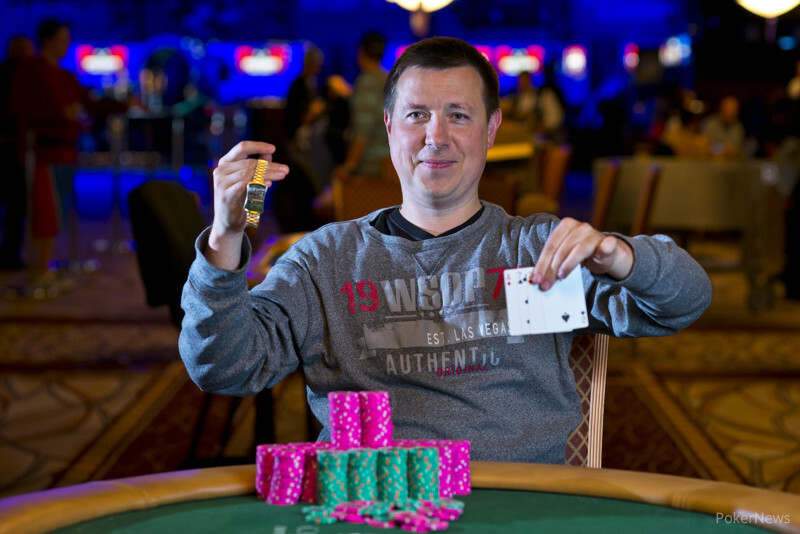 We didn't catch the action of the hand but we do know that Vladimir Shchmelev just quartered John O'Shea in a huge pot. O'Shea was holding aces, but they didn't hold up against Shchmelev's hand and he raked in the huge pot. He's now the overwhelming tournament chip leader with everyone nipping on his heals.